Summary: I finally had the opportunity to use rectangular graduated neutral density filters and I’m glad I did. The Cokin H250 P-Series ND Grad Kit is an inexpensive kit that will help get a good exposure of the sky and land at the same time. 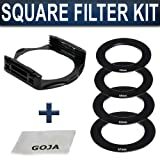 The main advantages of using this kind of filter as opposed to circular filters is that the rectangular filters can be used with different size lenses and that the graduated filters can be moved up and down in the filter holder so that the edge of the gradation lines up with the horizon line. Review: The H250A Filter Kit by Cokin contains a filter holder and three filters. The filters are Cokin’s most popular neutral density graduated filters. The darkest part of the filter can change the exposure by 1, 2, or 3 stops. The filters can also be “stacked” in the holder. Lens flare can occur when filters are stacked but in my test shots the main lens flare was reduced except for a few artifacts. I did not notice any color shift. 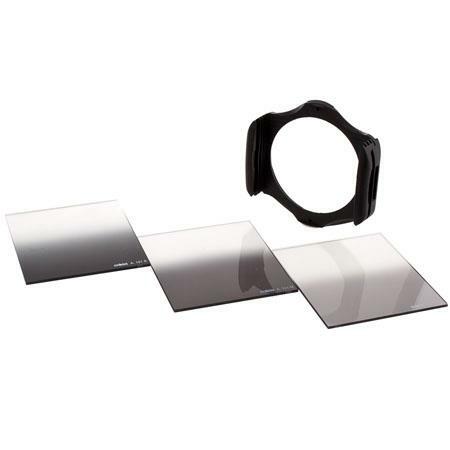 Many other Cokin filters can be purchased that will fit into the holder. Vignetting could be a problem with wide angle lenses. I didn’t see any issues with the 18mm-55mm kit lens on a camera with an APS-C sensor. The Cokin U961 Z Pro Grad Kit FH-121L-123L-125L Kit will be a better choice if you have a full-frame camera and a want to use the filters on a super wide angle lens. An adapter ring is not included in the H250A Filter Kit. The first two items in the chart below are choices of adapter ring kits. I am recommending kits that contain various size adapters so that the Cokin holder can be mounted on different size lenses. Please Note: You must give Viral Downloader permission to access your Facebook or Twitter account to receive the free eArticle. Read my Ezine article How to Use the Cokin Filter System to Take Properly Exposed Landscape Photos. Get your inspiration from what is around you! Don’t forget that you are surrounded by photographic opportunities. It is all too easy to fall into the trap of thinking that you need to go somewhere special. One of the best ways to break this mindset is to imagine yourself as a tourist and try to find out what attractions are available in your immediate area. Do a Google search and you will probably be surprised how much your home town has to offer. Open yourself up to the opportunities! The level on your tripod itself is used to ensure that your tripod doesn’t fall over. If you are using your tripod on uneven ground and the legs are different lengths, the level can be used to center the center column of the tripod over the legs which centers the weight of your camera over the legs so that the tripod will be less likely to tip over. If the tripod is level, the center column will be perpendicular to the ground. Another important tip for your tripod is to always have one leg toward the lowest ground. Let’s say that you have positioned your tripod on a hill with the camera pointed up the hill. One tripod leg should be toward you rather than two legs. The single leg toward you will be more stable and the tripod less likely to tip over. The tendancy is to always have two legs toward yourself so that it is easier to approach the camera. This is the time to not do that. Add weight to your tripod. I know, you bought a carbon fiber tripod so that it would be light and easy to carry but, while shooting, you may need some extra weight to keep it from moving. Tripods often have a hook on or near the center column of the tripod. I have a backpack camera case that I hang under my tripod. The bubble level on your tripod head is used to ensure that your camera itself is level. If you shoot a lot of landscapes, you will want to invest in one more kind of level. It fits in the hotshoe of your camera and can be more accurate than the round levels attached to your tripod head. I use a hot shoe level to make sure that the horizon is level. There are times when I am taking long exposures at night and I can’t even see the horizon. I use the level to make sure the camera is level and I know the horizon will also be level in the photograph. I only need to illuminate the level to see it, not the subject. Works great and I highly recommend that you get one. For panoramas, you can use the hotshoe level to ensure that your lens is parallel to the gound. That is what I do when I am using my Rokinon Fisheye Lens to take a 360×180 degree panorama. I mount the camera on a Panosaurus panoramic head and make sure the tripod is level, the head is level, and finally that the camera is level and the lens is parallel to the ground. If everything isn’t level, software such as Hugin will have difficulties stitching the shots together. Click here to read my article about using a Panosaurus panoramic head to shoot a 360×180 degree panorama.